Apple unveiled two new versions of its iconic smartphone at its California headquarters on 10 September 2013. The iPhone 5S smartphone follows on the success of the iPhone 5, released earlier this year. The 4G handset features a fingerprint scanner built into the home button, enabling the owner to unlock the phone by simply touching rather than pressing the button. The fingerprint scanner also permits the owner to buy music, apps, books and other media products from the Apple store. The iPhone 5S also features an improved camera and a more powerful processing chip. It will sell for £549 without a contract. What’s new with the iPhone? The company contends that fingerprint identification will remove the need for passwords--today's standard method of authenication--which can be difficult to remember and vulnerable to theft. While some consumers have expressed a fear that Apple will use the new smartphone technology to secretly compile a database of its users’ biometric identity, the company insists that each user’s fingerprint information will be encrypted and stored on the phone itself, rather than on an Apple server. 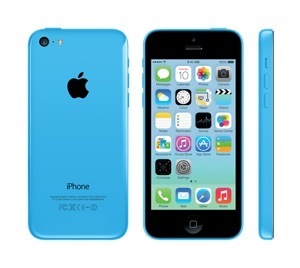 In addition to the 5S, targeted at the ‟premiumˮ smartphone market, Apple also released the iPhone 5C for the budget market. Available in five colours, the 5C offers many of the same features as the 5S and will sell for £469 without a contract.